Peroxins (PEXs) are proteins that are essential for the assembly of functional peroxisomes. 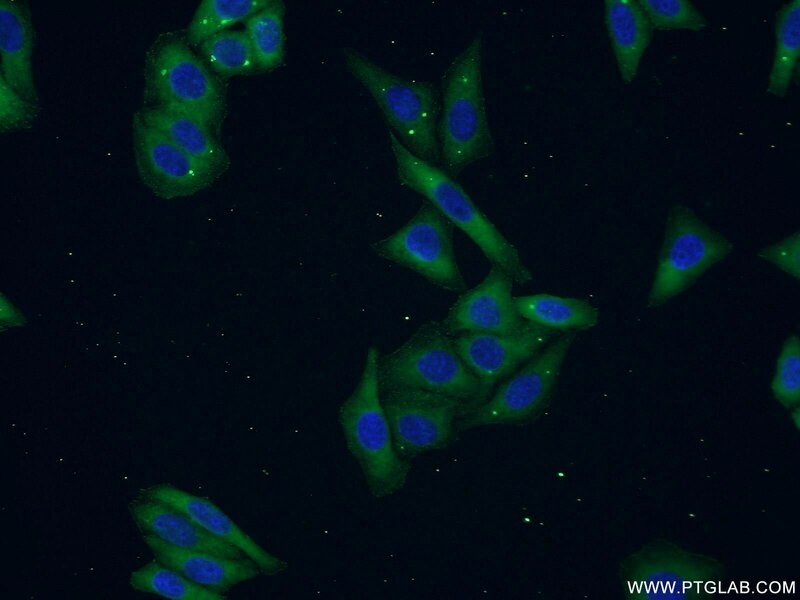 Peroxin 16, also known as PEX16 or Peroxisomal biogenesis factor 16, is a 336 amino acid integral membrane protein that has a critical role in the biogenesis of peroxisomes. PEX16 together with PEX3 and PEX19 are specifically involved in peroxisomal membrane protein (PMP) import. Defects in the gene encoding Peroxin 16 are the cause of multiple peroxisome-related disorders, including Zellweger syndrome (ZWS), neonatal adrenoleukodystrophy (NALD), infantile Refsum disease (IRD), classical rhizomelic chondrodysplasia punctata (RCDP) and peroxisome biogenesis disorder complementation group 9 (PBD-CG9). Critical role of the peroxisomal protein PEX16 in white adipocyte development and lipid homeostasis. Peroxisome-derived lipids regulate adipose thermogenesis by mediating cold-induced mitochondrial fission. PEX16 contributions to peroxisome import and metabolism revealed by viable Arabidopsis pex16 mutants. Isolation of Peroxisomes from Mouse Brain Using a Continuous Nycodenz Gradient: A Comparison to the Isolation of Liver and Kidney Peroxisomes. Peroxisomes protect lymphoma cells from HDAC inhibitor-mediated apoptosis. Sec16B is involved in the endoplasmic reticulum export of the peroxisomal membrane biogenesis factor peroxin 16 (Pex16) in mammalian cells.